PENTHOUSE! The largest & most desirable Penthouse in the much sought after Trapp + Holbrook building. Very spacious 1265 sq. ft. layout w/ 3 bedrooms & an additional entertaining sized 910 sq. ft. private terrace, all on one level. Absolutely gorgeous! 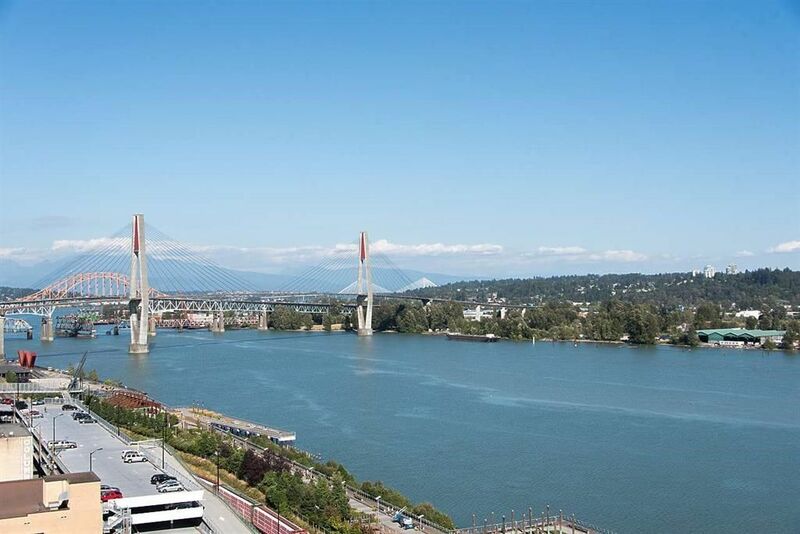 Panoramic Fraser River, mtn & city views from all rooms. You'll love the open concept gourmet kitchen w/high end S/S appliances & quartz countertops. Many expensive upgrades unique to this suite! Custom lighting system w/multi settings, in floor lights & deluxe lighting fixtures. Dimplex steam fireplace. Custom brick facing wall. Convenient electric blinds on all windows. High ceilings from 9' 4" to 10' 9". Bonus 2nd pking stall only steps to the main lobby. Excellent building amenities. What a lifestyle! This is the home you've dreamed of!